The Grapevine (1/25/19): A Rowdy Exit? - Smark Henry | The voice of Filipino wrestling fans | Philippine Wrestling Revolution, WWE, and more The Grapevine (1/25/19): A Rowdy Exit? The Grapevine (1/25/19): A Rowdy Exit? 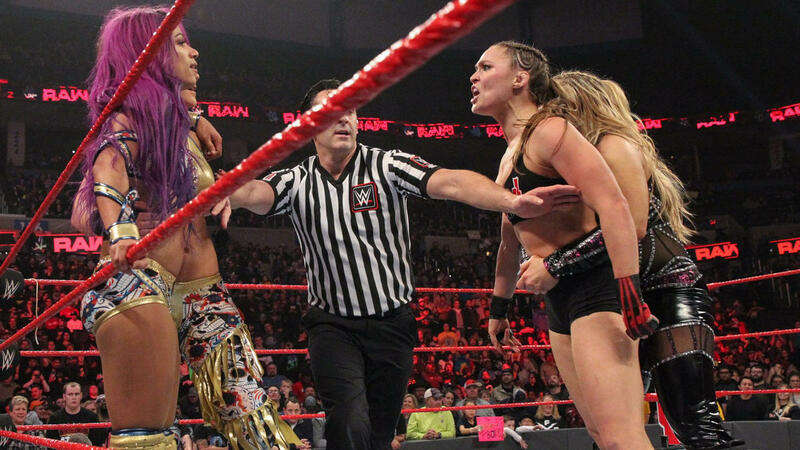 Is Ronda Rousey done with the WWE after WrestleMania? We say: This is highly interesting, and a little shocking at the same time. Ronda Rousey may not be the most popular female wrestler on the roster (that's still Becky Lynch) but she's only just scratched the surface of what she can do with the other women in WWE. Still, if she does go it may not be such a huge blow to the division. We say: Undertaker not being at WrestleMania this year may be a good thing for the whole card, as even though it loses the prestige spot of going up against him, it opens up the roster for new stories and moments. With the Deadman needing more and more help to get through each match every year, maybe it is high time for something else in his place—and let him rest in peace. We say: Impact got really, really close, but AEW was there to swoop in. Maybe next time, Impact. We say: And thus, WWE continues to poach talent from other companies. Let's hope that this contributes to a better WWE product. We say: Not sure what this would achieve that Andrade or the others can't on their own—only Sin Cara would likely benefit the most from such a stable. The idea of the luchadores in the SmackDown tag team division is tantalizing, though.